Talk with your adults in Time to Think and start to plan what home learning might look like for you over the holiday. Write a My News piece about your holiday. Use the example in your book to help make it really interesting and informative! Choose a home learning challenge to do during the week. Clear all of your bug club books- then explore Bugclub and see what games or activities you can find. – use the sheet to help you practise and remember them all. 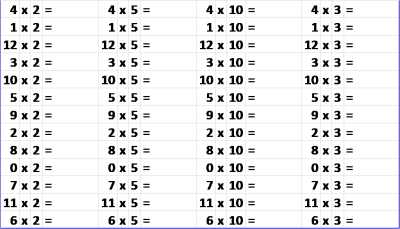 – Can you draw arrays of the multiplication facts? -What would you like to know? Write a story about anything you like. Plan it first so you know how it ends before you start to write it. -How many tier 2 words can you use. Use the word list to make up your own spelling test.